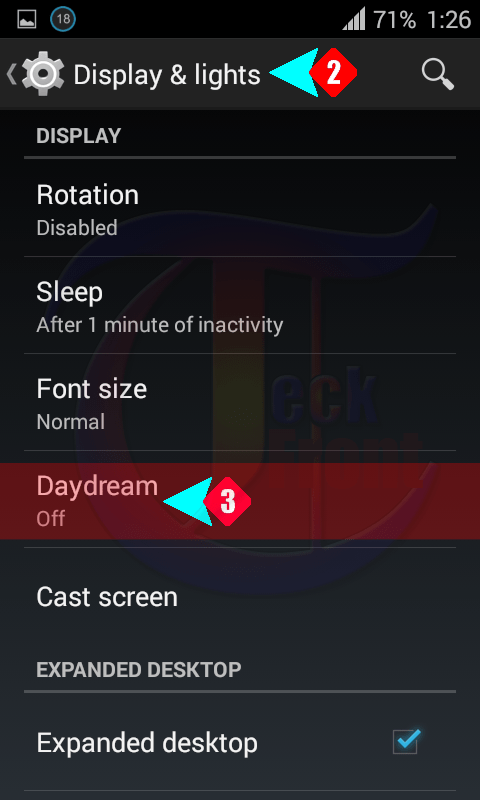 Android 4.4.4 KitKat: How to Switch ON / OFF Day Dream (Screen Saver)? Like all operating systems, Android 4.4.4 KitKat has provided screen savers. As screen saver consume too much battery energy, yet it is a popular feature for the enjoyment and to hide the live screen after an active session. But as some people do not like this feature, perhaps due to battery consumption, you may switch ON/OFF this feature as per your desire. This is just a few steps process. Command Line: Settings > DEVICE – Display & lights > DISPLAY – Day Dream > ON/OFF. 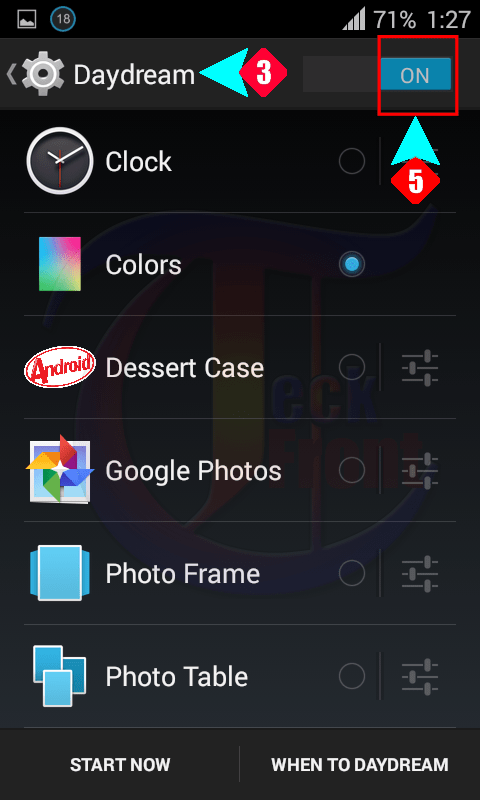 1: Tap the ‘Settings’ at the Home screen of your Android 4.4.4 KitKat phone. 2: Tap the ‘Display & Lights’ under the DEVICE. 3: See ‘Day Dream’ under DISPLAY. Its status is ‘Off’. Tap ‘Day Dream’. 4: At the ‘Day Dream’ screen, see the switch, given at the top right corner, is OFF and no feature on the screen is visible and screen is disabled. 5: Swipe to switch ON the ‘Day Dream’. 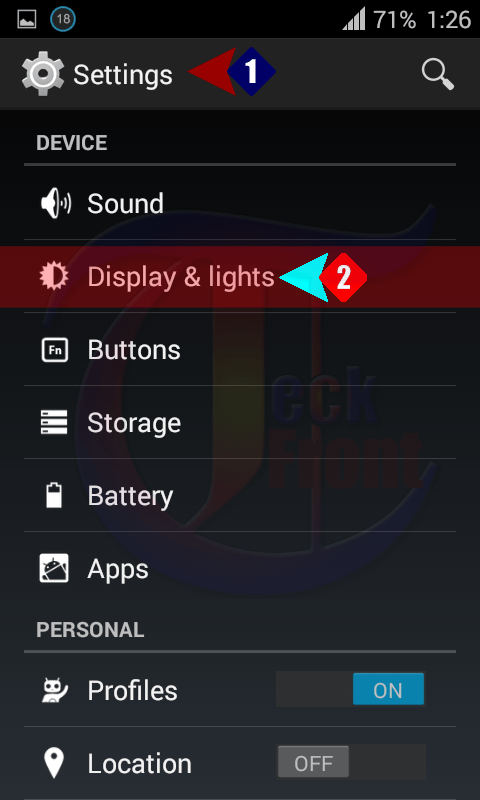 Many screen savers will appear on the screen and are enabled as well. See also that the option of ‘Colors’ is selected on the Radio button. 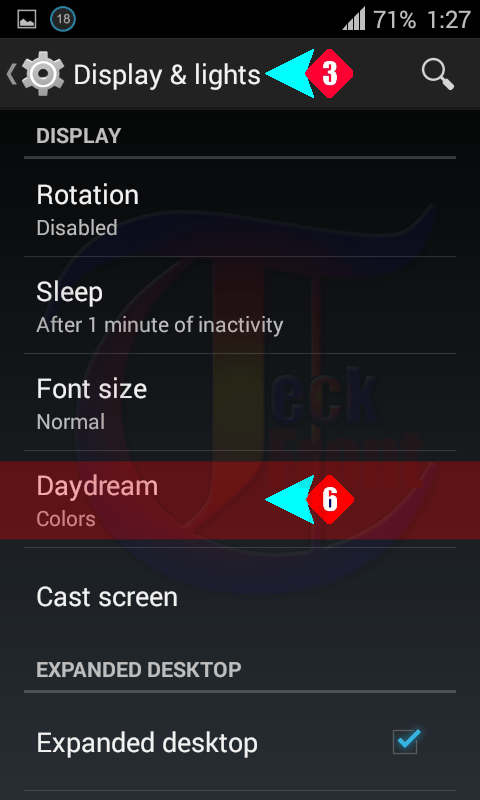 6: Go back to ‘Display & light’ under the DISPLAY and see the status of ‘Day Dream’ is changed to ‘Colors’. Now, when you will leave your phone ‘Idle’ for few seconds, its screen will start changing spectrum of beautiful colors. Older Android 4.4.4 KitKat: How to Delete Messages, Individually?